We’ve been doing a lot of work on our third bedroom lately, including replacing the windows. It’s the room we’re using as a spare room until we eventually get round to sorting out the ‘junk room’. Which could take years. I LOVE our third bedroom, it’s at the back of the house so looks over the garden and has a bay window. it’s pretty much my space to do what I want with so it’s taken on quite an eclectic decor style with this fabulous wallpaper and some other quirky touches. But I didn’t know what to do with a chest of drawers sitting in one corner. 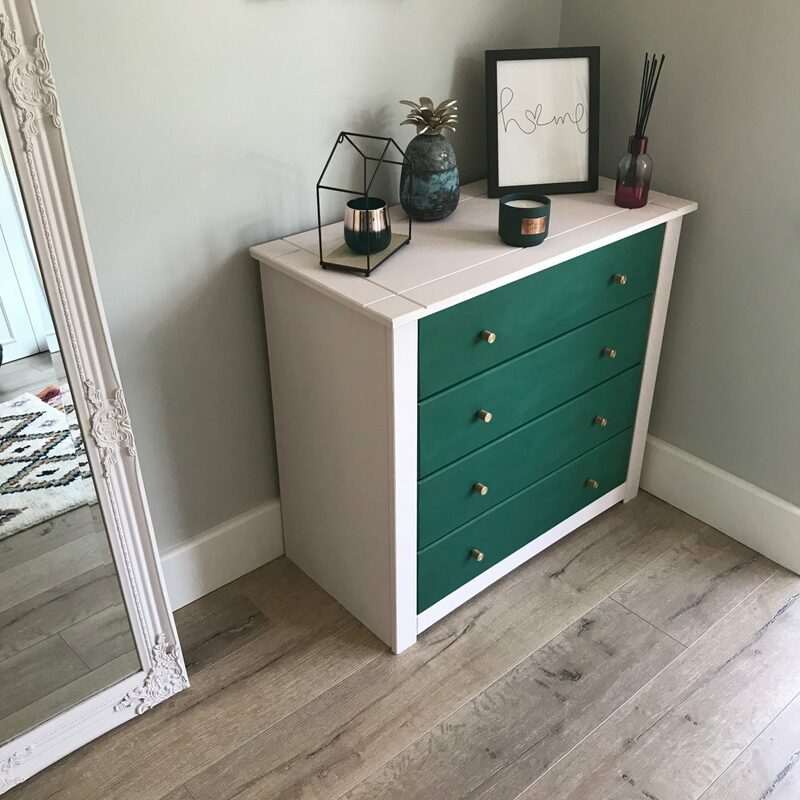 It’s such a useful storage space and was one of my first blogging collaborations with Wayfair who challenged me to an ombre makeover. Now though it no longer worked with the room and I was thinking to replace it until Pete suggested to give it another upcycle. 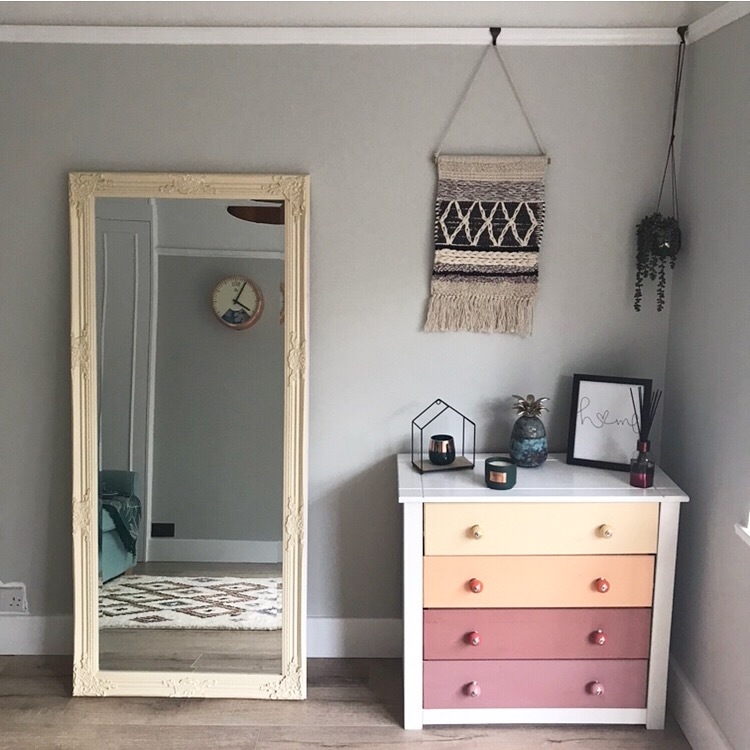 As soon as he suggested it I knew exactly the colour scheme to go for and that I wanted to give our leaner mirror from Exclusive Mirrors a lick of paint too. 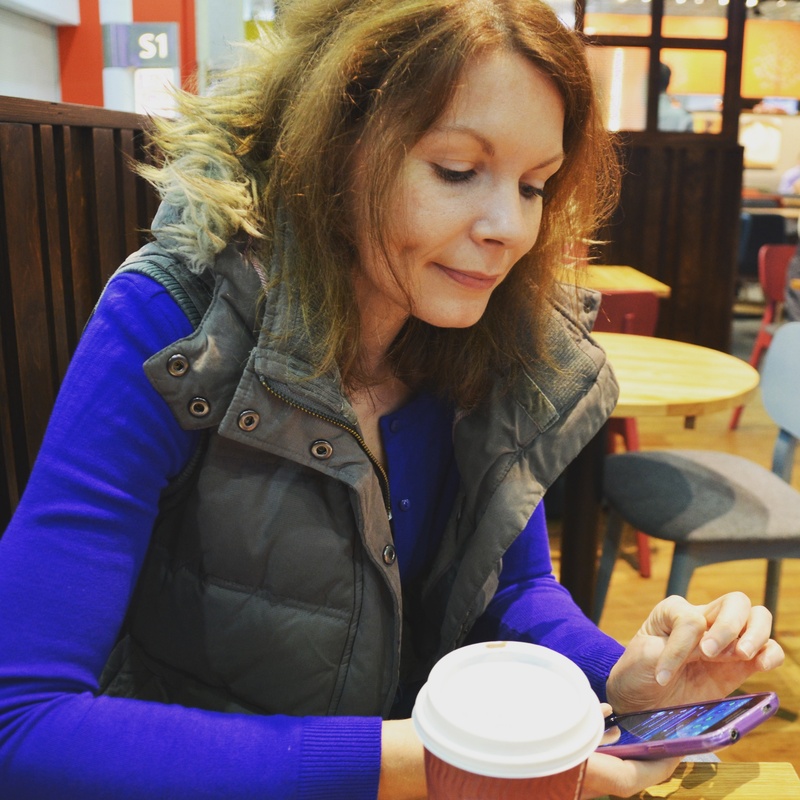 My lovely friend Michelle who I met during my journalist training many moons ago now runs her own furniture upcycling business and was on hand to help with advice. She stocks a fabulous range of paints called Vintro and uses them on all her makeover projects. 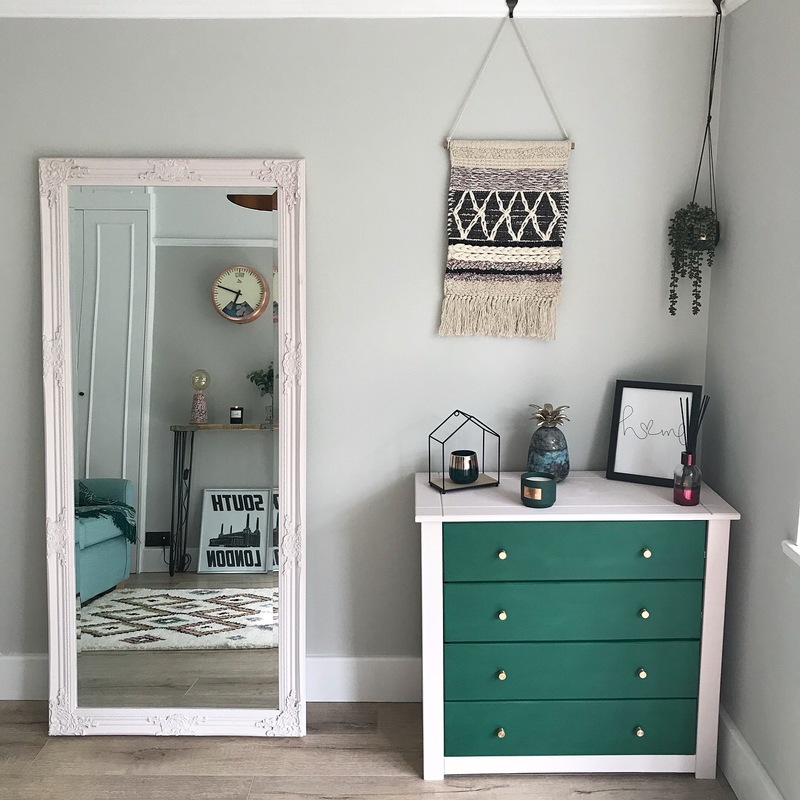 Since I wanted to go for the on-trend pink and green combination, she suggested Candyfloss, a very delicate off white with a hint of pink, and Brooklands, a vibrant forest green. 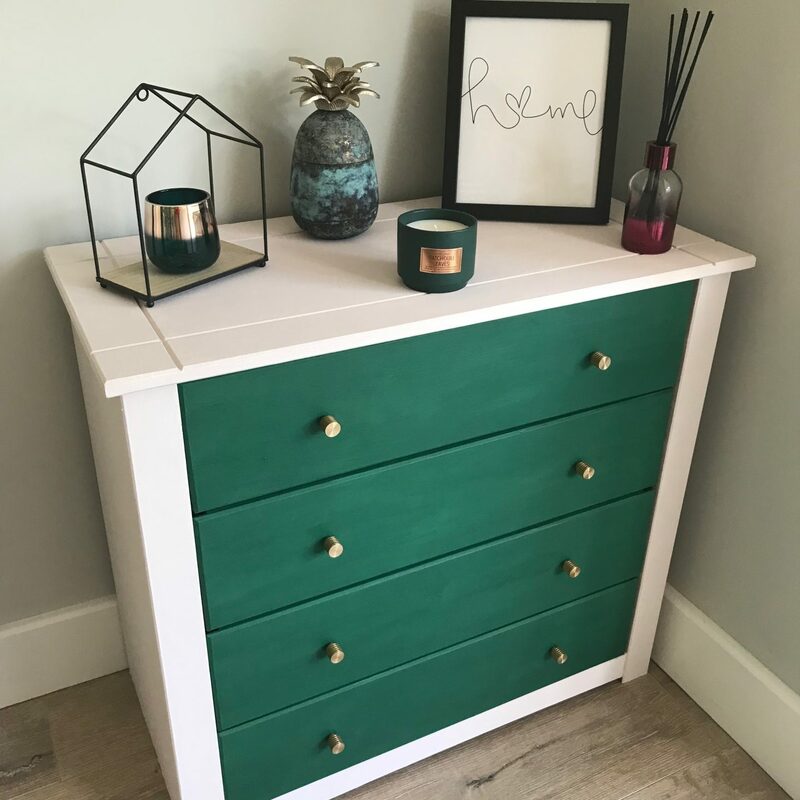 The chalk paint from Vintro is SO easy to use, no prep is required and it seems to be easy to apply on any surface. My painting projects were done across the weekend and finished with a light coat of wax. Don’t you think it looks so much better? 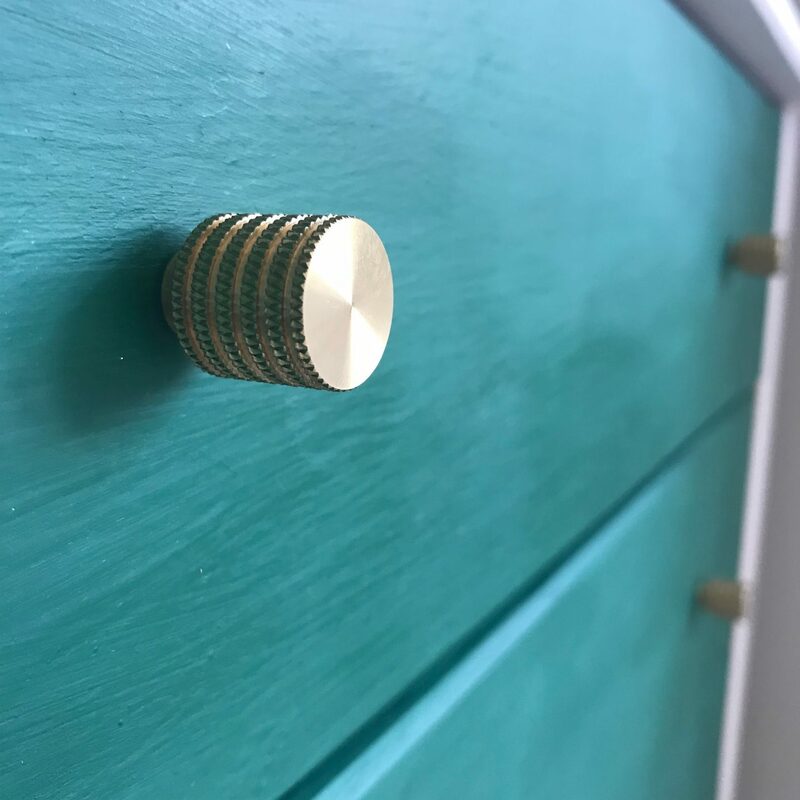 I’m also so grateful to the team at Dowsing & Reynolds who very kindly gave me a discount so I could pick up eight of their brass knobs for the drawers. Definitely an extravagance but sometimes it’s the small details that make all the difference and to me they finish the unit off perfectly. 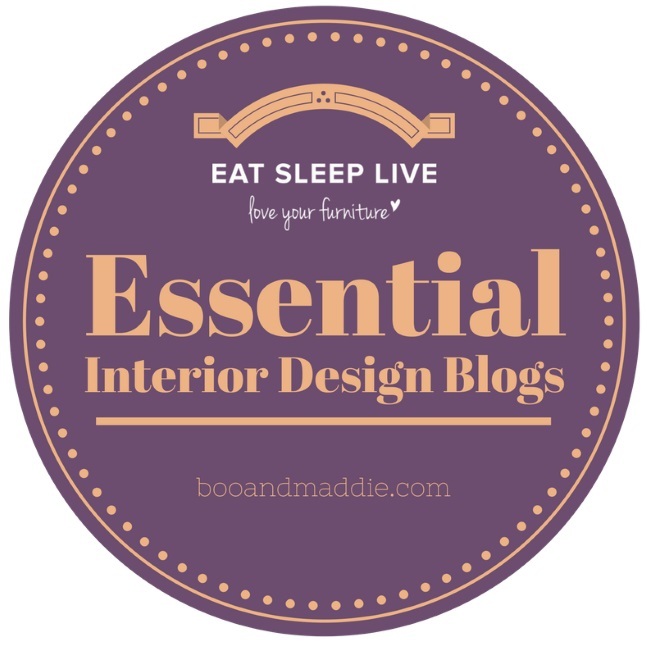 Have you every used chalk paint before? I definitely recommend Vintro if not. Great post. The paint job and the overall aesthetic of the room looks fantastic and well organized. Kudos to you. 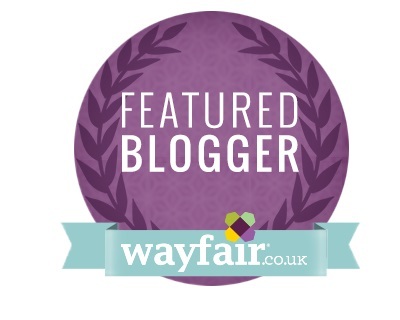 Fantastic article and lovely drawers. We are glad you liked using our paint. Vintro Paint Ltd.